A serial credit card fraudster in Kanchanaburi told police after her arrest that “her boyfriend made her do it”. Natchattha Malai, 30, said that he sometimes held a gun to her head before forcing her to go to banks with fake documents to apply for credit cards. She had been up to this scam with her boyfriend for five years and stolen a million baht in cash, she told police. 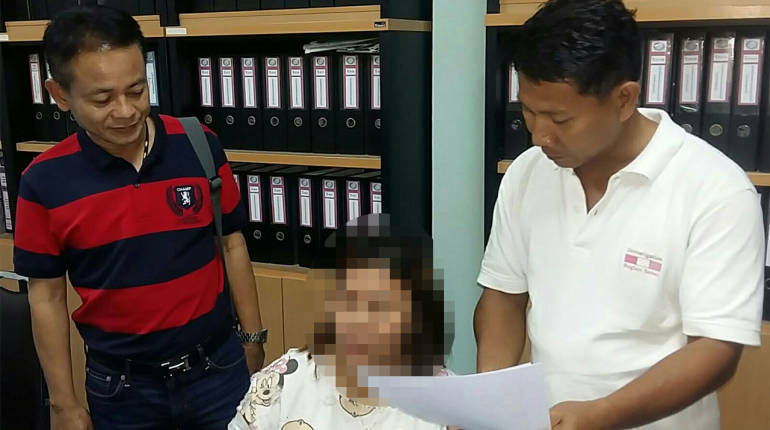 Kasikorn Bank became aware of her activities and suspected she was part of a wider operation and called in Kanchanaburi cops. They caught the woman receiving a credit card at a post office yesterday. She soon ratted on her boyfriend Phaisan Thongserm, 34 who police are now hunting. It is alleged that the pair put Natchattha’s picture on other people’s documents and then photocopied them in order to obtain credit cards from banks. Natchattha said she was the one who went into the banks to apply for the cards that were then used to obtain cash. She said: “My boyfriend hit me and sometimes even held a gun to my head to force me to do it”. She was detained and charged.